BUCYRUS — An officer-involved shooting Monday night near Tiro left one person dead. 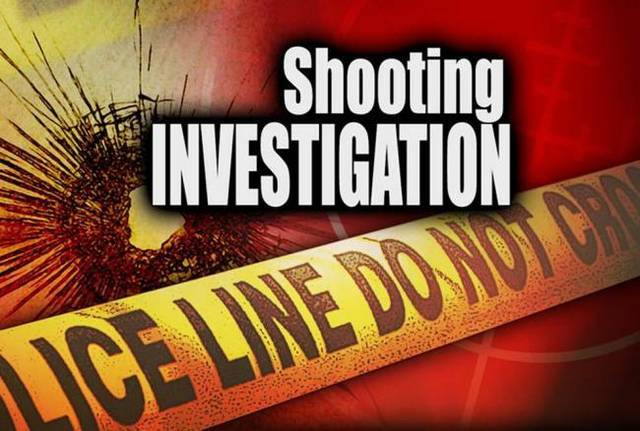 A joint investigation into the shooting is ongoing by the Crawford County Sheriff’s Office, the Ohio Highway Patrol and the Ohio Bureau of Criminal Investigation (BCI). The dead man has been identified as Aaron Clifford Fike, 27, or Tiro. The names of the officers involved in the shooting have not yet been released. According to the Crawford County Sheriff’s Office, at 9:44 p.m. Monday, a trooper with the Ohio Highway Patrol was northbound on Ohio 39, near milepost 2 in Crawford County, when he saw a man walking along the road. The trooper made an attempt to make contact with man, letter identified as Fike. The trooper said Fike was in possession of a shotgun. During this encounter, Fike reportedly fired one round at the trooper’s patrol car and then fled on foot, northbound, into a field. Assistance was requested and deputies from the Crawford County Sheriff’s Office, Shelby Police Department and Richland County Sheriff’s Office came to the scene. A deputy spotted Fike in a field walking toward a residence on Lydell Road, north of Tiro, which police said was Fike’s residence. The news release stated than when spotted, Fike still had the firearm in his possession. Fike reportedly refused to follow the commands of law enforcement officers on the scene and entered his residence. As officers pulled up in front of the residence, Fike reportedly came back outside and approached the officers. Again, he refused to obey commands and pointed the firearm at officers, a news release stated. He was then was shot by officers at the scene. CPR was rendered by officers, however Fike did not survive. Special agents from the BCI were called to the scene, along with Crawford County Prosecutor Matthew Crall and Crawford County Coroner Chris Johnson, who pronounced Fike dead. Fike’s identity was released late Tuesday by Crawford County prosecutor Matt Crall, in conjunction with Crawford County Sheriff Scott Kent, Johnson, the BCI.